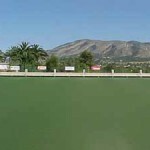 Lawn Bowls Clubs on The Costa Blanca in Sunny Spain. 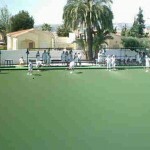 Costa Blanca Bowls Alicante is the southern most province of Valencia region. It’s coastline is called the Costa Blanca. The capital Alicante is approximately half way down the coastline. 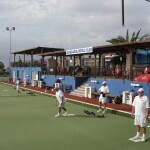 Costa Blanca Bowls Lawn Bowls Clubs in Spain. 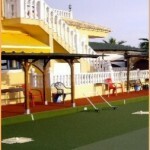 The main areas for clubs are Almeria, Costa Blanca, Costa del Sol and Murcia. La Florida Emerald Isle Bowls Club. 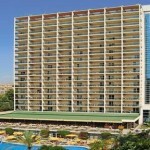 Click above for a large selection of Discounted prices of Hotels and Villas on The Costa Blanca Spain. ! 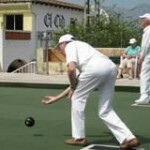 Bowls: Making the Most of Your Game Costa Blanca Bowls. SPAIN INFO. San Francisco De Asis, Urb Marina, San Fulgencio, 03177, Alicante, Spain.